Looking for a fantastic antivirus for sure safety of your system? 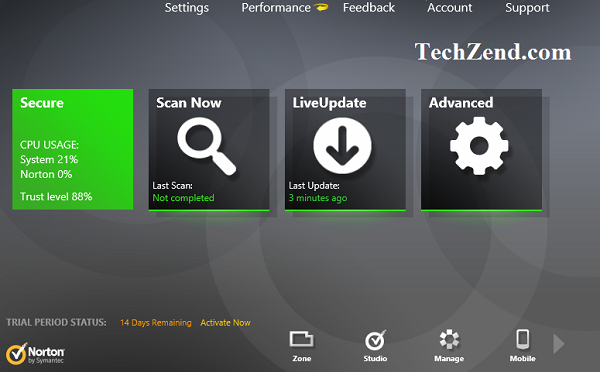 TechZend brought some excellent and perfect antivirus programs for the users of Windows. So let’s have a brief discussion of the features and functions of these antivirus programs. The list of the top antivirus apps for all the time, has been prepared according to the features they offer for the users. You can select one of them according to your preferences and according to the requirements of your system. So, let’s have a glimpse of the functions and features these antivirus software contains for Windows. Note: These antivirus Software or Apps are compatible with the below listed Windows versions. Avast stays at the top of the list when you are looking for an antivirus program with excellent security service and want to convert your system into a fortress for your important and sensitive data. Avast provides you complete security while using your credit card for any online payment. If you happen to lose money often while shopping online and while making online payments, Avast is here to protect your security and amount too. You can enjoy the SafeZone feature of Avast by setting your desired shopping or banking sites that would enable you to launch it automatically. A large number of Spam messages and ads contain dangerous phishing links where you can be exploited for the date of credit card or in your PC. All these messages appeared to be sent by a genuine sender. Avast has the latest anti-spam technology that can easily filter out this kind of disgusting and harmful spam messages and thus saves your precious time by providing them entire security from virus, malicious bugs, malware, spyware and rootkit, etc. You can also save your system from hackers who attack your system. 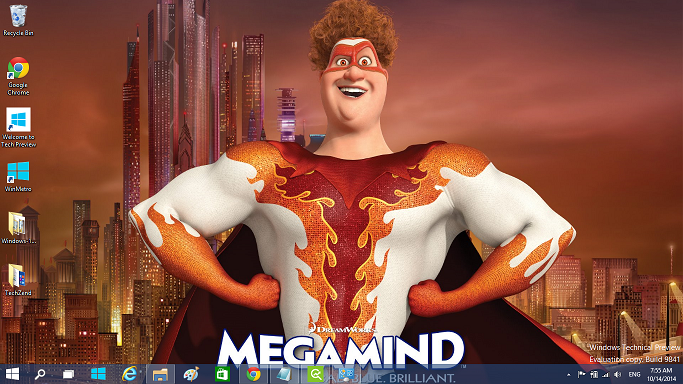 Moreover, you can download it for every version of Windows as it has full compatibility with Windows XP, Vista, Windows 7, 8 and Windows 8.1 too. It is a paid software, but you can try its free version too. If you want to try its paid versions, it is available in “Avast! Internet Security” and “Avast! Premier”. Both of them can be bought in $39.99 and $49.99 respectively. Norton antivirus is an amazing third-party software that enables you to have a sigh of relief. You can enjoy a safe and secure PC without being disturbed and irritated from social network scans. It protects your system from dangerous and infectious spyware and viruses. You can keep a safer and secured net surfing on and even you can continue safe shopping online and bank dealing without being disturbed from hackers. All of your data and documents are strictly protected. 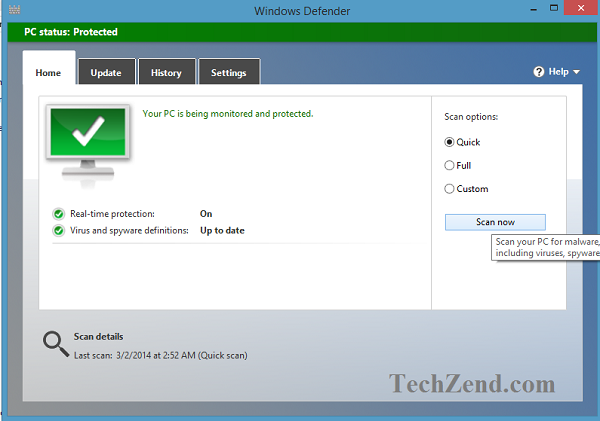 Microsoft Windows Defender should be your first preference if you are sick of complicated antivirus programs and want a complete protection of your system against unwanted spammers and scammers. 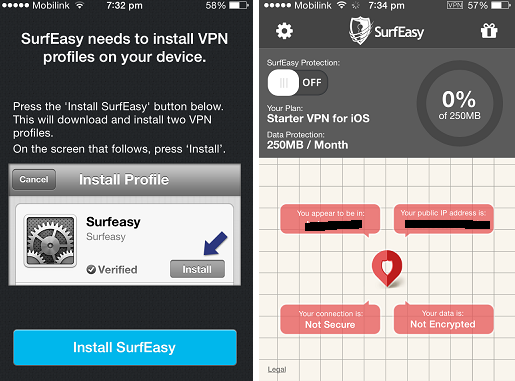 It gives you a reliable security against unwanted notifications and software while you are busy in net surfing. 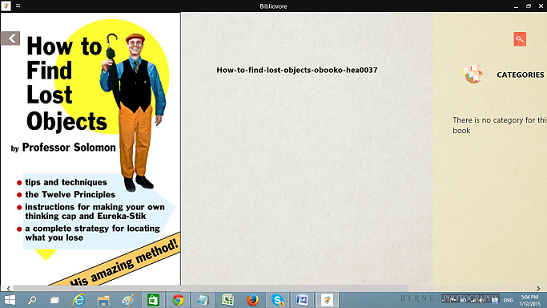 You can use it easily due to its simple interface. The users of Windows 8 and 8.1 are at advantage as Microsoft Windows Defender antivirus program has been added to it by default and they do not need to download it. 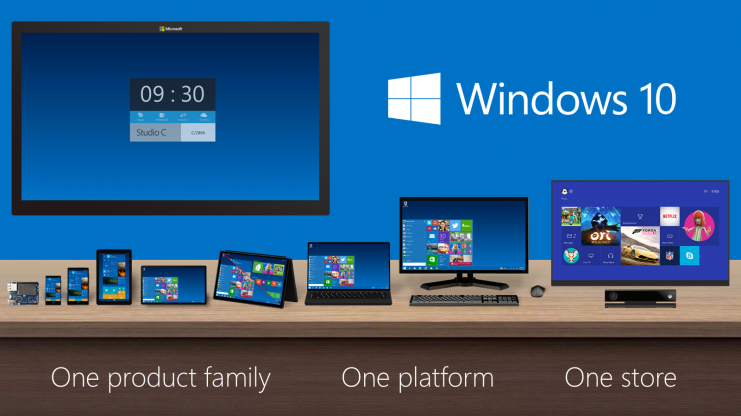 Yet, the users who have other versions of Windows can download it free of cost from Microsoft’s official website. 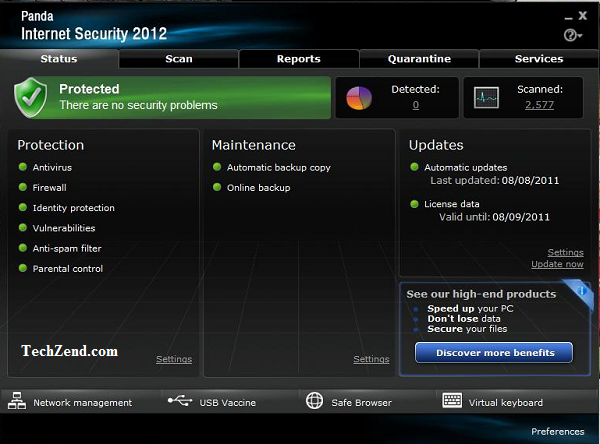 AVG is an amazing software to protect your system from viruses, malware and spyware. It blocks all of the malicious viruses quickly and scans fast the links from Facebook, Twitter and other websites. You would be able to delete the files in order to avoid snooping by using AVG. The above-mentioned qualities are not only available in the paid version, but also in the free version of AVG. If you select its paid version, you would be able to secure your data including all of the personal and secret professional files, the password protected data and encrypts. You would be able to protect your PC against the attacks of the scammers and spammers. It protects you fully from the attacks of hackers by building a protection wall around your system. If you want to use its Paid version, you need to pay $54.99. You can take a free trial of the paid version of AVG before you buy it. It gives you a 30 days free trial of its paid version for the entire satisfaction of the Windows users. Bitdefender gives you a pleasant feeling of being safe from rootkits and completely protected from every type of malicious malware, spyware and viruses. It complete scans and blocks the websites where you are not safe. It automatically detects the infectious threats that cannot be noticed by various other antivirus programs and gives you alerts regarding all of the suspicious apps. It blocks them automatically before they are crossing the limits towards your security. So, if you want to enjoy the real time protection, you should get it to have a sigh of relief. Panda provides you the best possible security against all of the dangerous viruses and malicious attacks of spyware. You can enjoy net surfing without worrying regarding the spam and scams. 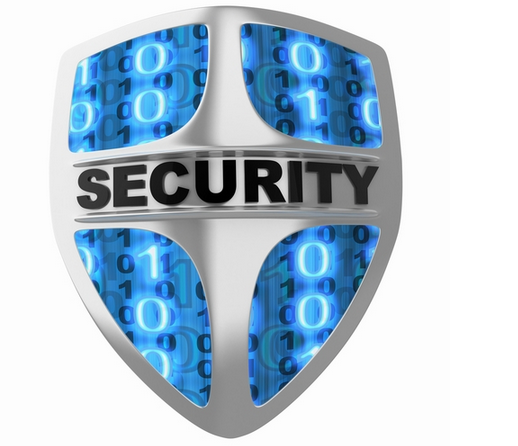 It enables you to provide a complete protection to your system from hackers. Avira antivirus is the perfect choice for the users who are looking for an antivirus program with complete safety from viruses, snoops and adware programs. It is an innovative antivirus with the latest detection technology for the attack of viruses on your system. It can be truly called your advisor against the spammers and websites that are harmful for you. Avira has ability to block all of the browser tracking agents and block the sites to track your net surfing history for a safe and secure net surfing. It is absolutely free of cost and you do not need to pay any fees to get it. The users of Windows who are looking for defending their system from worms, rootkits, Trojan viruses and bots should select Kaspersky antivirus program. It is one of the most influential antivirus programs that can protect your system from all kinds of viruses, spyware and many more infectious agents quickly and timely. Its cloud assisted service gives you more benefit as it is more effective and more efficient if you compare it with many other antivirus programs in the market. The latest version of Kaspersky includes ZetaShield technology that gives you more security against every kind of exploits and malware whether known or unknown. While net surfing you may visit some suspicious and harmful websites where you do not know how secretly your system is occupied by some unknown viruses. Now you do not need to bother about it. Kaspersky provides you complete security against these malicious and harmful websites and detects alarming condition behind the scene at once. If you want to avail yourself a wonderful defender for your Windows with all of the outstanding antivirus qualities, this amazing software is perfect for you. 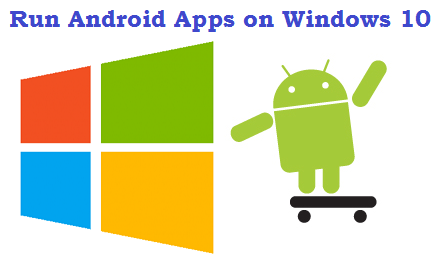 It is available for not only Windows users, but also for Mac and Android users. 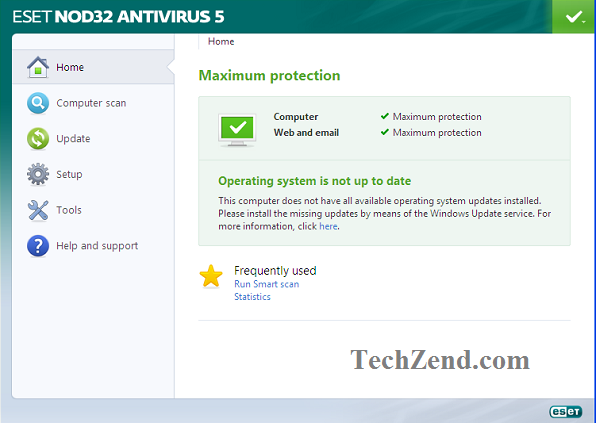 Its various versions are available for Windows where the users can select NOD32 Antivirus that gives them entire protection from viruses and harmful Trojans. You can explore your desired websites confidently without being disturbed by the evasive threats. If you visit a fake website that is able to track your website visiting and personal data record, ESET NOD32 Antivirus will provide you an unbreakable Anti-Phishing shield that will quickly block the data stealing act of fake website. ESET NOD32 also presents you an entire protection of your Social Media accounts. It contains a Social Media Scanner that can recover your lost data regarding your Twitter or Facebook accounts quite readily. If you want to get rid of spamming and scamming, you can use ESET Smart Security that blocks all kind of spamming. It is a paid software, but you can try it for a month without paying any fees. 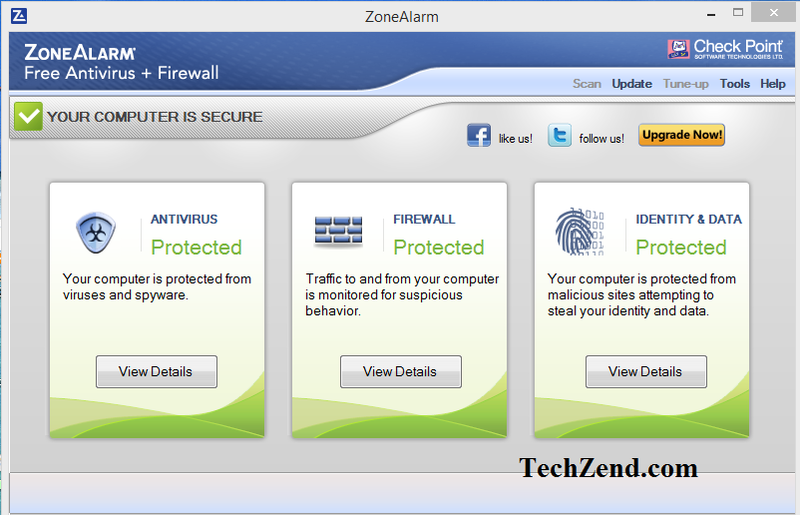 Zonealarm is one of the best and outstanding antivirus programs that can protect your PC in the best way. It contains Antivirus Engine that quickly detects and stops the attacks of spyware, bots, rootkits and even Trojan horses. You will find your system completely protected between its two-way firewall. Due to its two-way firewall, your system seems to be invisible to the hacking software and hackers and it blocks spyware from transferring your precious data to another source of the internet. The Advanced Firewall of the system observes the programs and then stops the attacks that have been made to break the traditional protection shield of the system. Moreover, the advanced download protector makes it more convenient for you to analyze the data you have downloaded from web. If you have downloaded a malicious tool or program from web, it will stop it harming your system. It also contains an Identity protector that keeps monitoring your credit and when there is any change in the credit documents, it alerts you quickly regarding the changes. 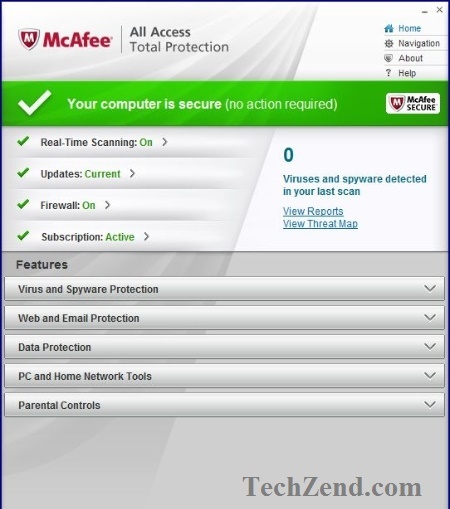 McAfee is what all of you want to protect your PC from the attacks of virus and malware. You will experience a wonderful and complete security from all types of Trojan and rootkit attacks. It makes the security of your system possible from all spyware and various other harmful threats. Although it is a paid antivirus software, but you can download it for a 30 days free trial to check its features. It is available in $79.99 from its official website. If you want to get its McAfee AntiVirus Plus, it can be downloaded in $34.99 to stop malware and to protect the data of your PC from transferring to another source of web. Its strong firewall makes your data and system quite protected. F-secure provides the users of Windows the real-time security against spyware, malicious email attachments, viruses and other harmful malware attacks. It consists of Deep Guard 5 Exploit Protection shield that gives you complete protection from every attack of spamming. You would be able to secure your data from stealing and from getting visible for hackers. It is quite easy to download and install and does not create any slow downing of your system. It is the best solution for your security with the help of superior defense technology that secures your system from every online threat and malicious agent. It is a paid software, but you can try it out for 30 days without paying any fees. So guys! If you want to get ease of use, you would surely prefer to download f-secure for complete security of your system. G-Data Antivirus needs no introduction for the users of Windows. It is a complete security system for their PC and its security suite contains all of the security measures a PC user needs. It has an absolutely wonderful protection performance and can detect all kinds of Trojan horses, rootkits and malware quite easily. It does not slow down your system and gives you a 100% security from all of the online threats from hackers and spammers. By using it you would be able to get entire satisfaction of protecting your data from stealing. Malwarebytes is superb in its functions and simple usage. You can use it for protection of your data from stealing. Its advanced firewall makes your system secure from the attacks of hackers. It blocks all of the harmful websites from accessing your system hiddenly. It monitors your system secretly and blocks all kinds of unknown and pre-existing threats for your system. The system Flash Scan Mode of Malwarebytes makes it easier for you to scan your system quickly. The software starts updating your database and scheduled scans automatically.